Home Hardware & Supply is the largest independent hardware store in Bergen County. Do you need advice with a DIY project? Are you a professional in need of supplies to start and finish a job? We are here and ready to help, seven days a week, with our vast years of knowledge and our large inventory. Home Hardware & Supply has been operating for almost 70 years, since 1950. We have the answers you need. Our considerate and helpful staff has more than 500 years of know-how. Seasonal supplies are always in stock to meet your needs, from ice melting products, firewood, gardening products to a huge variety of hand and power tools. We fill propane tanks seven days a week, even Sundays. 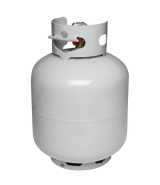 We also stock new propane tanks. We are here to fill your propane needs!